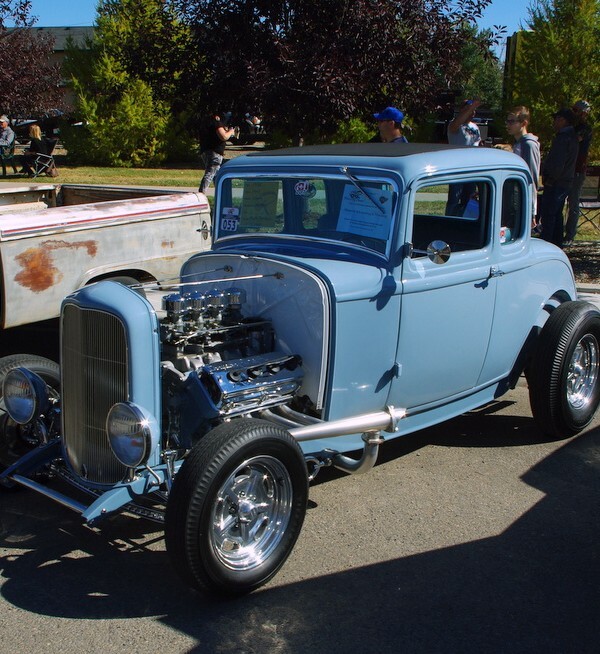 The Deuce Coupe (’32 Ford) is one of the most iconic street road platforms ever built. 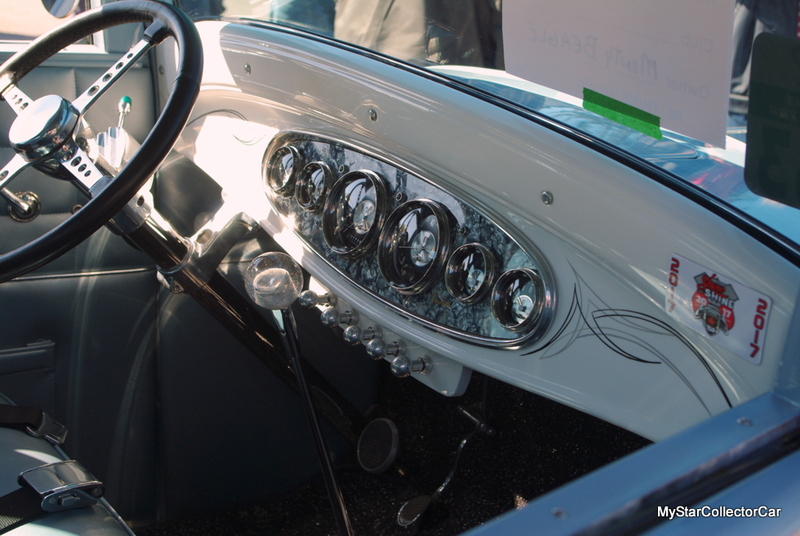 They were sought after from the day they rolled out of the factory with the legendary flathead V-8 under the hood. Performance minded street rodders really embraced the big V-8s of the early 50s so deuce coupes became street monsters. 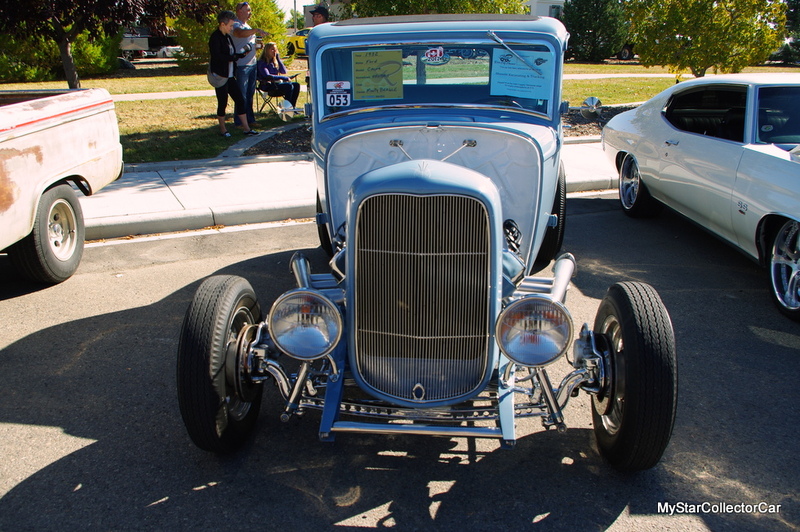 This ’32 Ford is a text book example of how a rod would have been built in the 1950s and that’s why Monty Beagle was attracted to this classic deuce coupe. 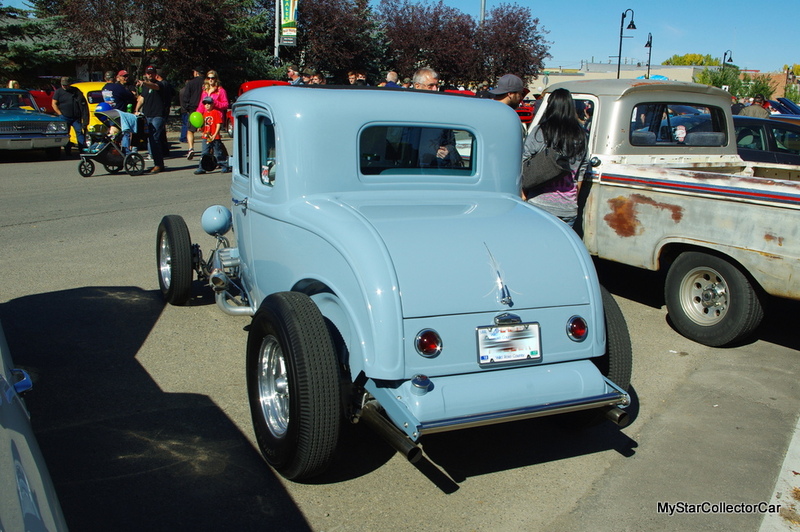 He’d been looking for a 1930-35 Ford street rod and he found this deuce coupe in Winnipeg, Manitoba. He “had his eye on a couple but this one turned up in November (2016)” so Monty popped on the deal and brought it home. This was a rare car because it has serious Canadian roots—it was built in Toronto. 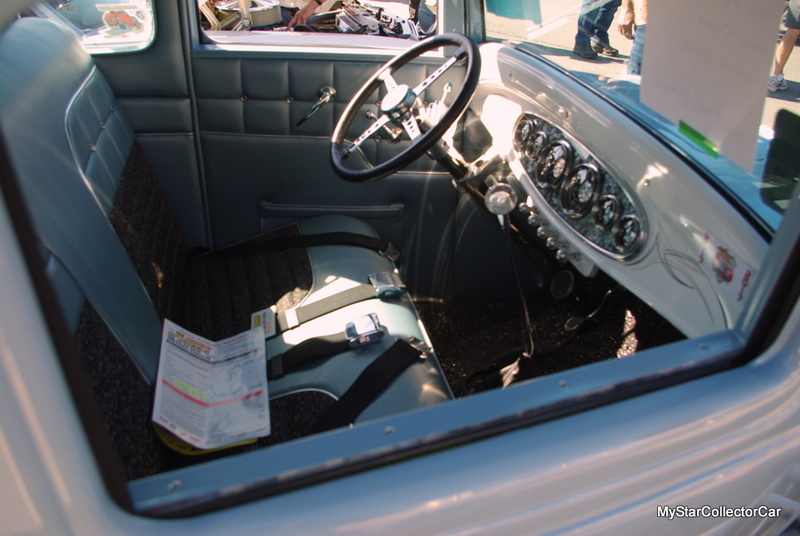 The heart of Monty’s deuce coupe is pure old school—it’s a 1st Gen 1958 392 Chrysler Hemi. These old hemis were the engine of choice in the 1950s and 60s because they were readily available in many wrecking yards and they gave big power right out of the box. This one was built by a legendary NHRA racing engine builder but it has a fairly tame 9:1 compression so pump gas doesn’t make it stumble—even with a four-deuce carb setup. 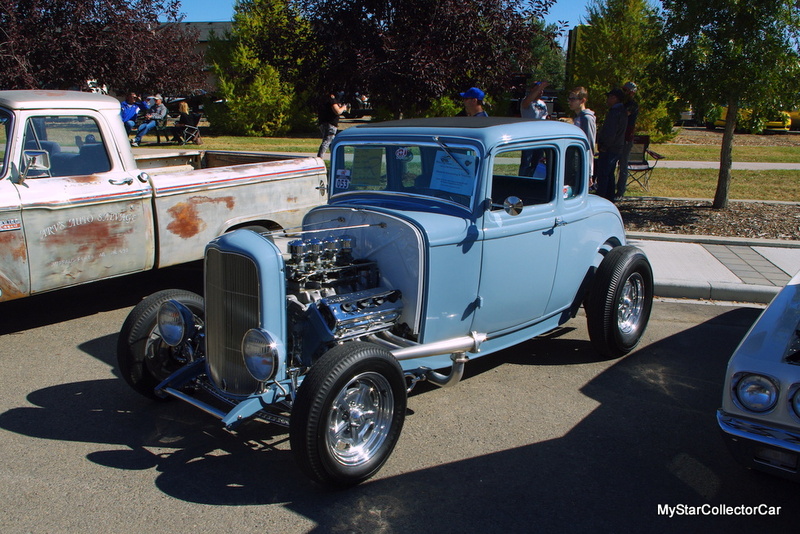 This ’32 Ford is a typical mix and match street rod because it has a GM 700R4 transmission, GM alternator and water pump. 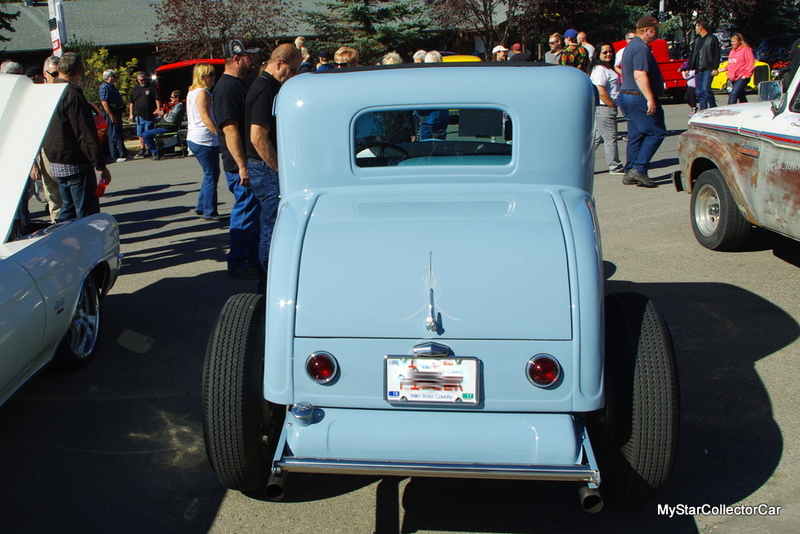 It’s capped off with a legendary 9” Ford rear end to handle all that Hemi power. Monty’s car has another unique feature because it’s painted in a very subtle shade of Volkswagen blue. 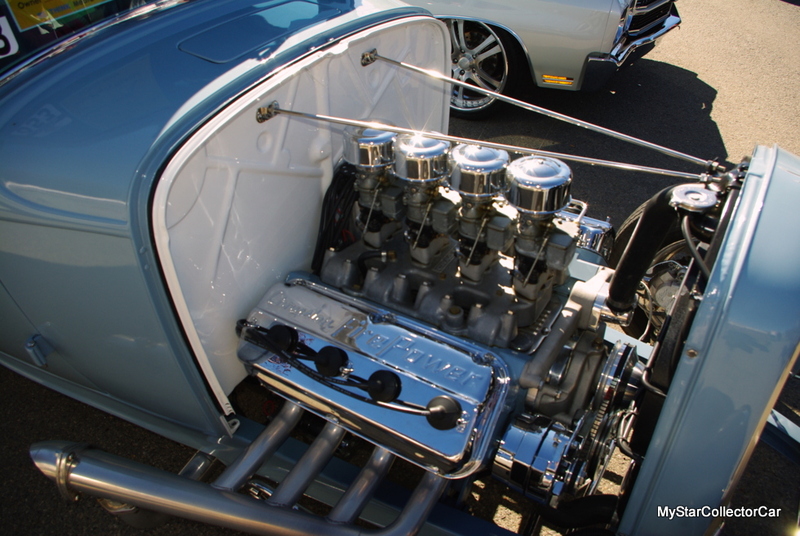 This gives the deuce coupe a more period correct shade plus it masks the monstrous power under the hood. There is no sound system in Monty’s car—he prefers to hear the full rumble of the 392 and he gets the sound in abundance when he uncaps the headers. There is modern sound deadening material in the floors and the doors so the car can actually give a relatively civilized ride. Monty drives the ’32 Ford with a lot of respect but occasionally he’ll unleash the 392 monster and smoke the tires. There’s a video of this car performing and it’s all blue rubber haze and noise. That’s not a typical day for Monty behind the wheel of the deuce coupe because he tends to be relatively easy on the car. He said “the wind noise at 70 mile per hour” is significant plus the car has bias tires thus it “tends to follow the road a little so you gotta pay attention”. Monty is seriously considering a radial upgrade but for now the period correct bias ply tires will stay. 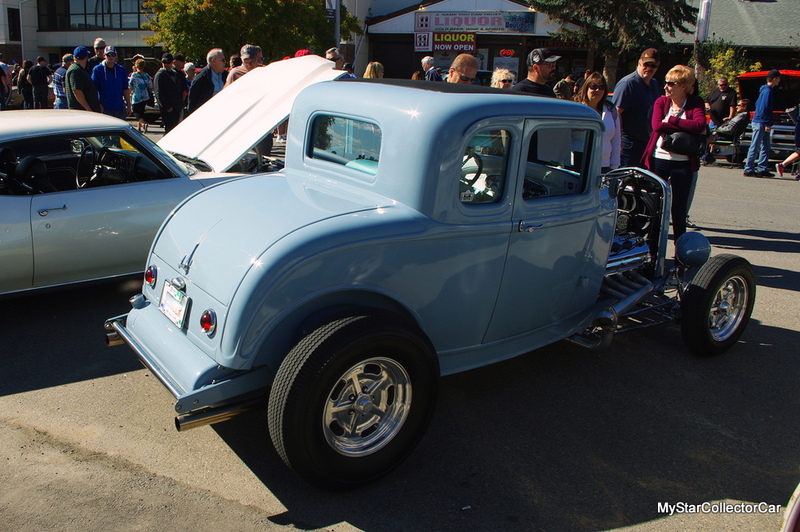 Monty’s deuce coupe is fairly tame at idle because it runs off the middle two carbs plus it runs relatively cool in traffic. That’s a feat given the exotic nature of the multi-carb fuel delivery system on a big hemi. The ’32 Ford is a piece of automotive folklore in songs and movies and Monty’s deuce coupe is a rolling example of a classic build.